Certificate programs offer concentrated study to help you become specialized in your field without having to meet the extended requirements of a standard degree program. Earn a certificate to learn more about a subject, become expert in an emerging field, or boost your career. The programs are abbreviated enough to easily fit into the schedule of a busy professional, but thorough enough to give you a deep knowledge and understanding of the subject matter as well. ATTENTION: This page serves as an archive for past degree plans. If you wish to view current degree plans, visit our College Catalog. Currently enrolled students can also view their degree plan and degree audit in DegreeWorks. 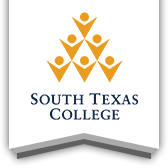 For more information, please contact STC Student Financial Services at 956-872-8375.